It’s a case of eat, sleep, work and repeat this week. The weekend cannot arrive soon enough. 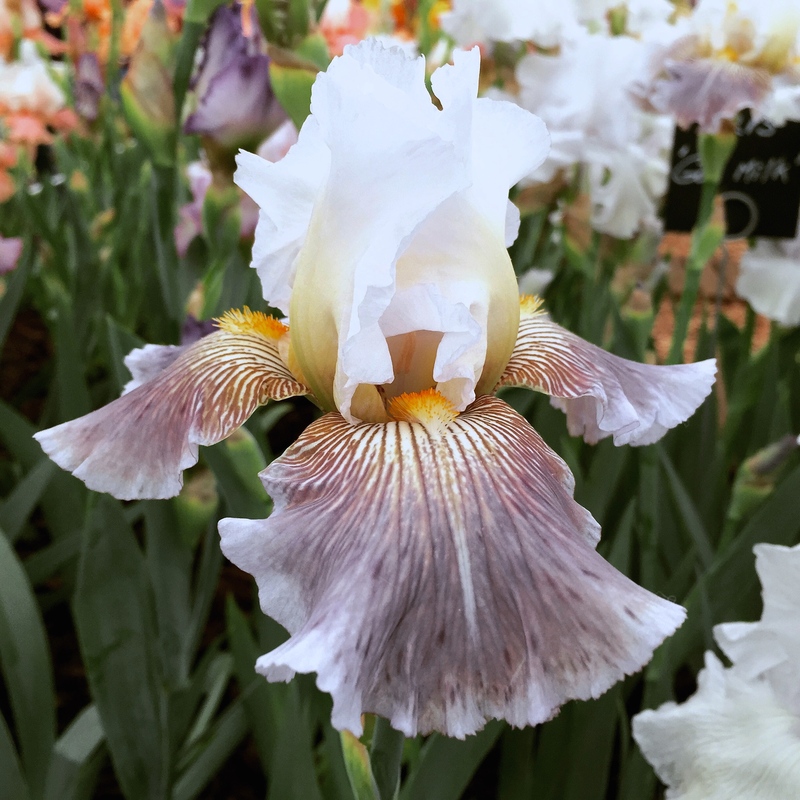 Considering what to write about tonight I realised that I had never shared the photos I’d taken at Chelsea of the ‘fleur du moment’ – bearded irises. It was not just Cayeux from France, but also Claire Austin, Kelways and Howard Nurseries celebrating these fabulous early summer blooms at the world’s premier flower show. Neither of our gardens are open or sunny enough for bearded irises, but this doesn’t prevent me from appreciating their marvellously flamboyant form and colour. 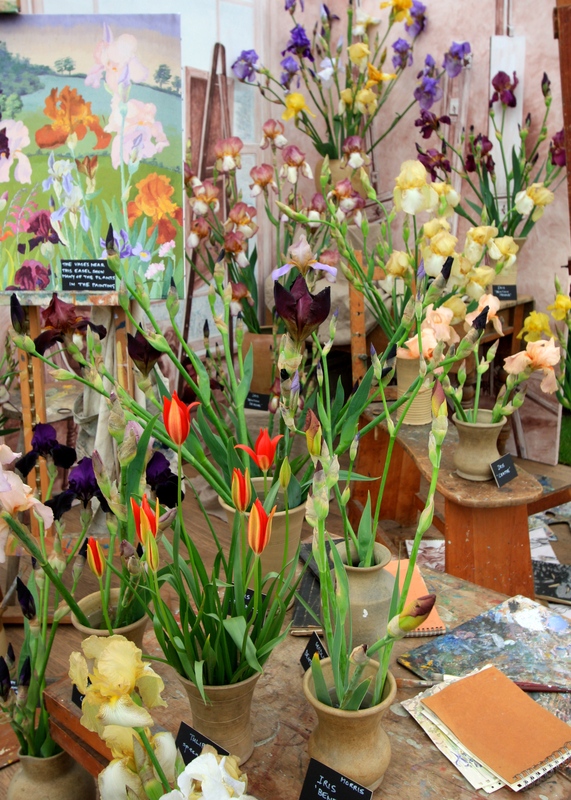 Howard Nurseries presented a collection of Cedric Morris hybrids rescued from obscurity by former Sissinghurst Head Gardener Sarah Cook. These old varieties exhibit remarkable bruised, slightly ‘off’ colours that one can imagine the artist and plantsman relished. 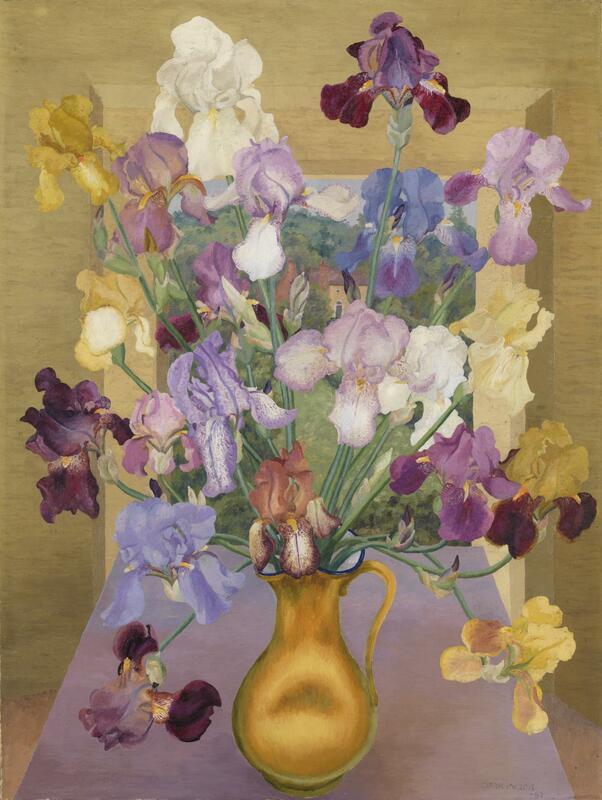 Before the Second World War, Cedric Morris was a renowned painter and breeder of irises, which he admired for their ‘elegance, pride and delicacy’. In 1940 he moved to Benton End in Suffolk, where he cultivated a garden inspired by Claude Monet’s at Giverny. 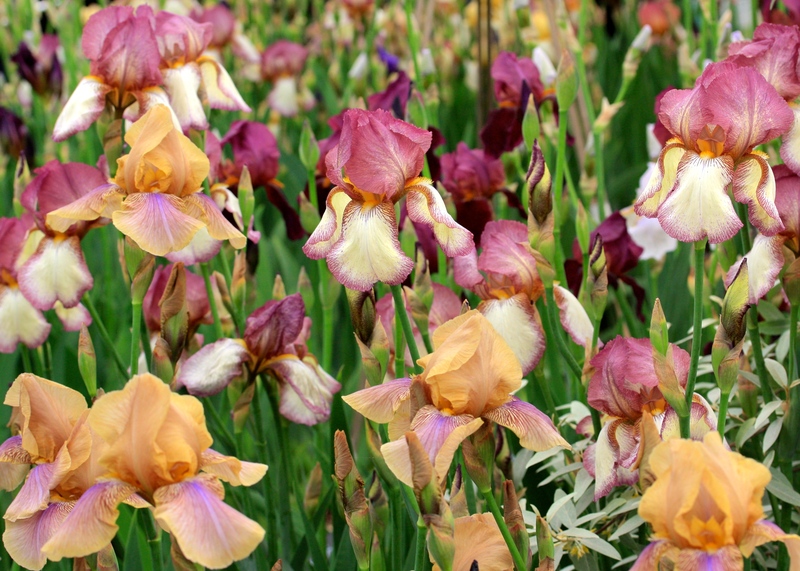 He grew about 1,000 new iris seedlings every year, the best of which he named, many with names beginning ‘Benton’. Those that didn’t make the cut were sold at garden openings in aid of the Red Cross. As is the way of things, recent hybridisation has given rise to more compact plants with clearer coloured flowers, some with pronounced ruffles and picotee edges. 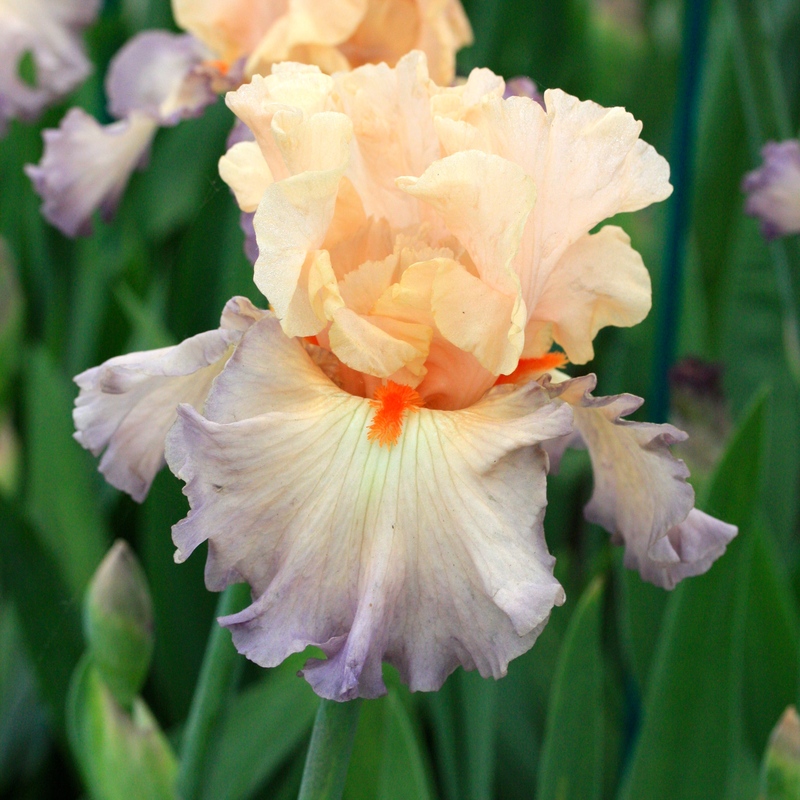 I fell in love with Iris ‘Ceil Gris sur Poilly’ and I. ‘Lune et Soleil’ from Cayeux; I. ‘Parisian Dawn’ and I. ‘Ink Pattern’ shown by Claire Austin. They demonstrate that progress has not entirely been at the expense of finesse. Irises like a well-drained soil. If you garden on clay, mound up the beds so the rhizomes don’t get too wet. Feed plants once or twice a year with Growmore and sulphate of potash. Feed after flowering and also in March if you garden on impoverished soil. Divide plants straight after flowering. Give them a position at the front of a border or better still in a brightly lit bed of their own – they don’t like competition from other plants. 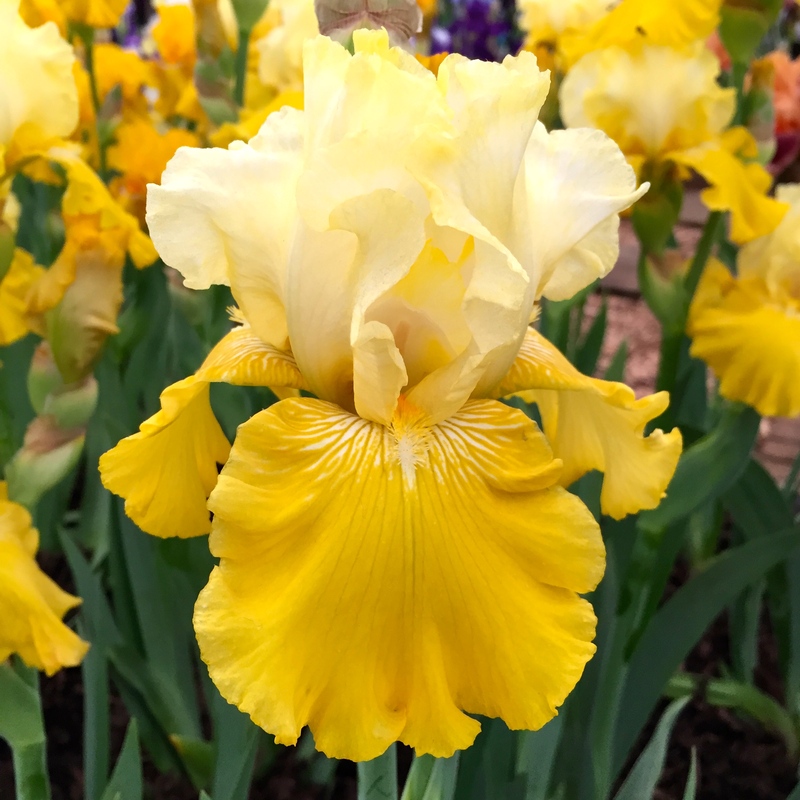 Love bearded irises. Thanks for all the pics and the posting. Enjoyed it. I know the feeling – once we’re in spring, the shows come round thick and fast and the gardens start looking their best so I find I take pictures a lot quicker than I can get round to writing about them. 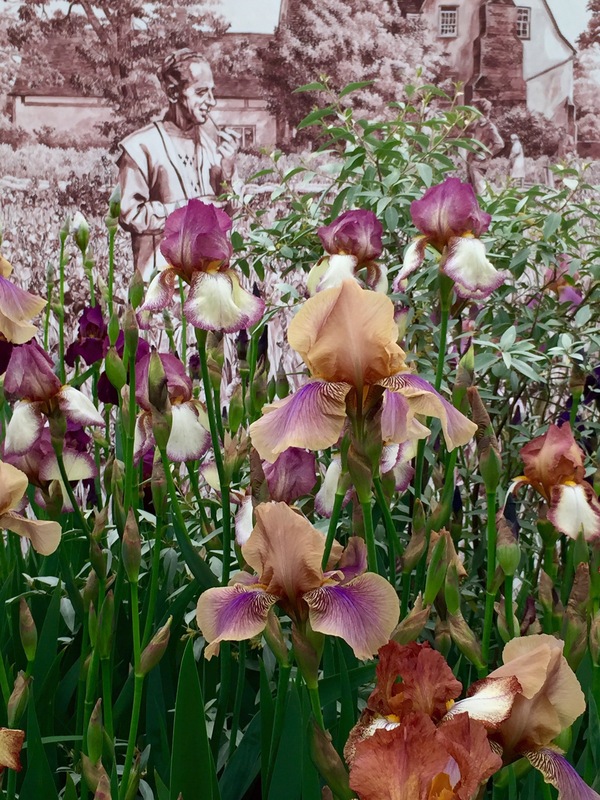 Thanks for this welcome and beautiful glimpse of Chelsea – I missed out on it this year but I did notice that Irises seemed to have been the stars of the show. I love bearded Irises which is fortunate as they are one of the few plants that really loves the conditions in my dry garden. 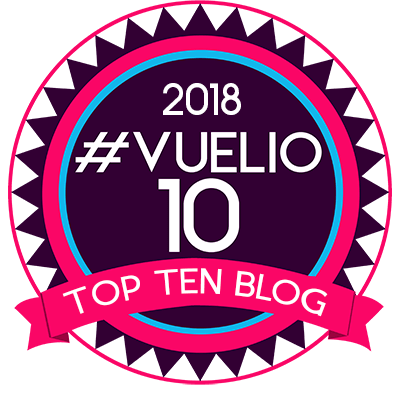 It is so long since mine flowered, late May, that it was a real joy to read your post; I never did write a post just about the irises this year, maybe I still could!